The outside of B-500 line's blade is grinded round, so it would not damage grain of grape. Model B-500SL has a blade angled of L type and this makes convenient for working at high place. 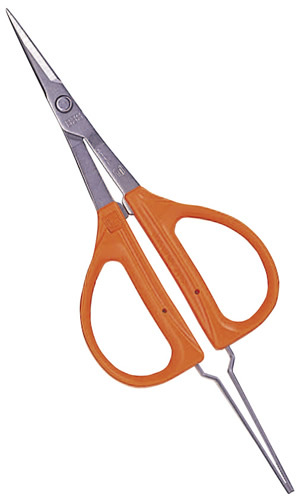 B-300 line also has shears with tweezers. When thinning out grain of grape and reversing a wrist, shears and tweezers are used at the same time.